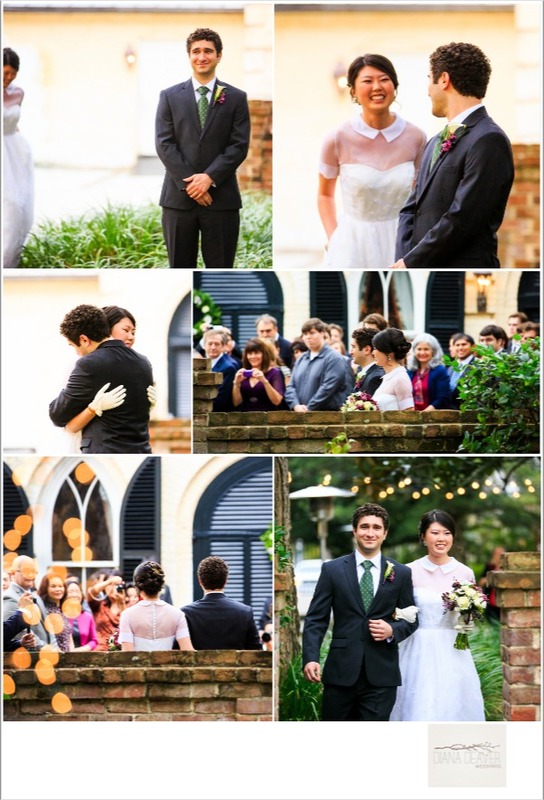 The venue of is of course one of my favorite structural elements of this Charleston garden wedding. 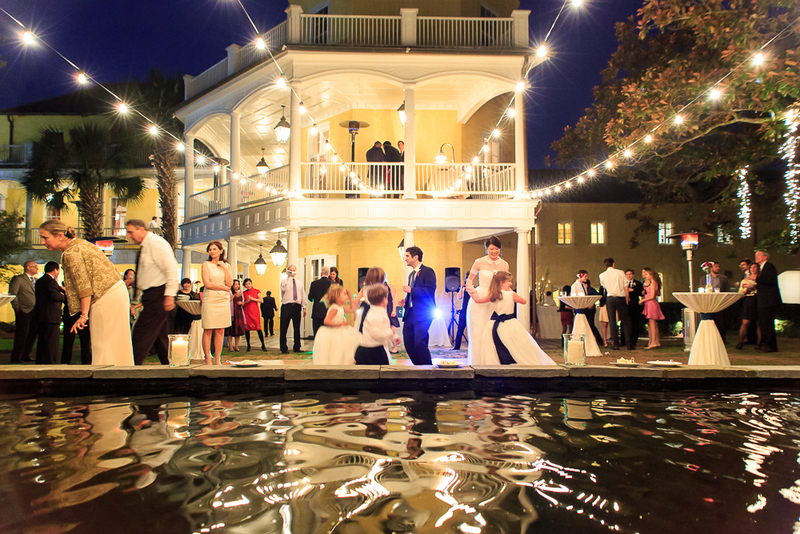 Only in Charleston SC can you find a wedding venue that will combine historic elegant interiors, lush gardens corners with architectural enhancements to achieve an excellently balanced indoor/outdoor wedding platform. 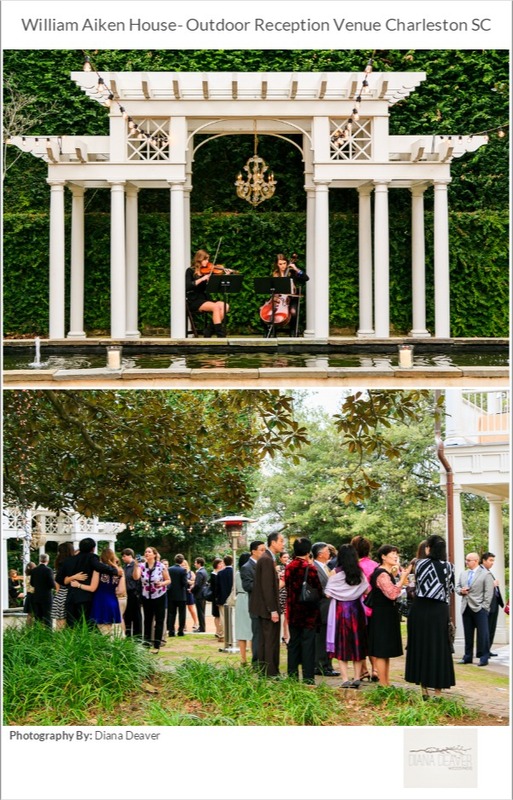 I loved the white gazebo columns and the reflection pool. 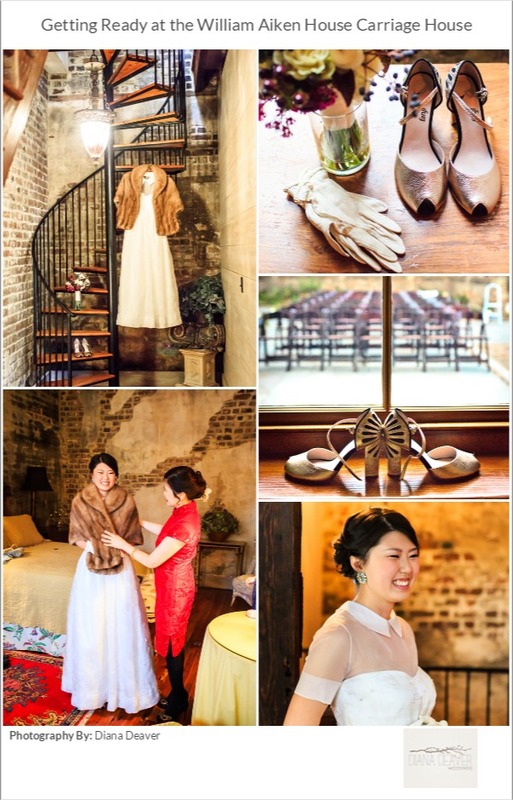 The venue is perfectly matched by the bride’s simplicity and elegance. I enjoyed the unique hand made wedding dress that featured pockets and the most adorable collar. The sweet first look, as the brave moment when the bride and groom walked down the isle holding hands, as well as the touching first dance were some of the emotional highlights of the wedding . I wanted to go for a vintage garden party feel which couldn’t have been easier with the william aiken house as a backdrop. The exquisitely decorated historic home made it easy to slide into an ambiance of dreamy festivity. I also wanted to work in as many details from family/friends as possible including calligraphy by a friend, vintage gloves from an aunt, handmade gown, etc. Of course I had some anxiety surrounding wedding details, but on the day of the wedding, none of that mattered. It was my future husband and I with our closest family and friends, and it was perfect. This wedding is featured on www.AislePerfect.com. Click here for the full feature.